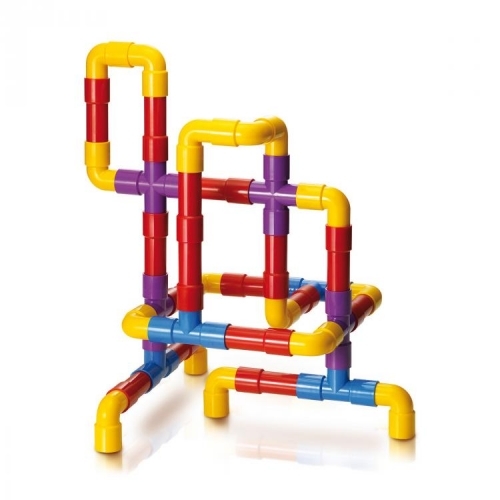 Children will have fun building intricate three-dimensional structures by interlocking the 4 different types of tubes in endless configurations. They will easily create colourful mazes of tubes, water pipelines, modular space stations, scaffoldings... and all the ingenious constructions they can make up. TUBATION is suitable also for younger children because its pieces are all easy to handle and to fit together and are made of safe unbreakable plastic. TUBATION stimulates children's creative thinking and reasoning skills while developing their motor skills and spatial awareness.